MOSCOW, Aug. 27, 2018 /PRNewswire/ — GAC Motor, China’s leading automaker, is set to make its first appearance at the Moscow International Automobile Salon (MIAS) from August 29 to September 9 with all-star vehicle lineup. The press conference is set for 1:55 pm on August 29 at Booth C203, Hall 14, Pavilion 3, Crocus Expo International Exhibition Center. 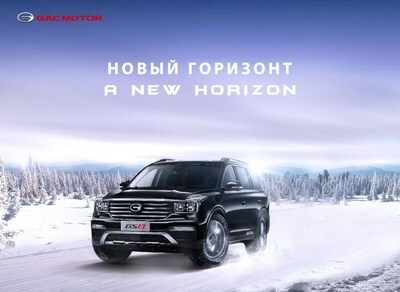 The company will also host a brand promotion event from 10 am to 11 am on August 30, inviting Russian dealers and media to witness GAC Motor’s official entry into the Russian market. 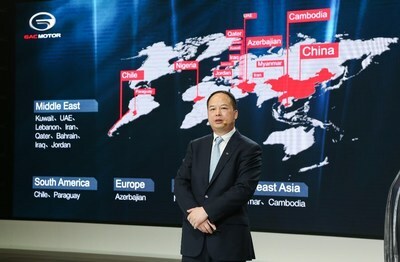 Yu Jun, President of GAC Motor, once remarked in the 2018 International Distributor Conference that Russia is a key market as the company continues to follow China’s ‘Belt and Road’ Initiative, which marks further steps in exploring the more mature markets in Europe. Some of GAC Motor’s vehicle models have already received sales qualification in Russia. There is strong confidence that the dynamics, durability and safety of these automobiles can win the heart of local buyers. With a solid foundation in product development, manufacturing and global-scale operation, GAC Motor, as an independent Chinese brand, has made satisfactory progress in global markets with best-selling and award-winning vehicles as well as five-star services. During MIAS, GAC Motor will be debuting its elite vehicle lineup, including sales champion GS4 SUV, the upmarket GS8 SUV, first minivan GM8, high-end sedan GA8 as well as all-electric SUV GE3. The star of GAC Motor’s first exhibition in Moscow will be the GS8 SUV, the first mid- to large-sized 7-seat SUV from a Chinese brand that has sold over 10,000 cars in a month in the domestic market. Moreover, GAC Motor has established global sales and service networks in 15 countries and regions, and has been praised as the “Best Chinese Car Brand” in multiple overseas markets. The automaker has made stunning appearances at top international auto shows such as the North American International Auto Show (NAIAS) and Dubai Motor Show, and MIAS will mark another milestone in the brand’s development. “With a vigorous quality control system and leading domestic supply systems, GAC Motor is an extremely strong brand with an established, comprehensive quality guarantee. We want to show the best of the Chinese automobile industry in the Russian market through our debut at MIAS,” Yu noted. Founded in 2008, Guangzhou Automobile Group Motor CO., LTD (GAC Motor) is a subsidiary of GAC Group which ranks 202nd among Fortune Global 500 companies. The company develops and manufactures premium quality vehicles, engines, components and auto accessories. 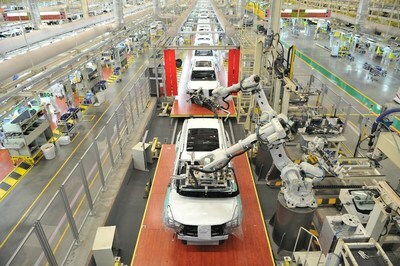 GAC Motor has now ranked first among all Chinese brands for five consecutive years in J.D. Power Asia Pacific’s China Initial Quality Study SM (IQS), demonstrating the company’s quality-centric strategy from innovative R&D), manufacturing to supply chain and sales & services.